Okay! Thanks for all these great questions. For the first few, I am going to group all the popular subjects together and try and answer each of them all in one lump. Eventually, I’ll get to the more specific and “short answer” questions. If anybody has further questions you are welcome at the louislamour.com discussion forum. Just put my name in caps in the subject line and I’ll see it and answer. If I don’t, add a reply to bump it up. 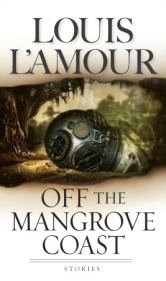 Sometimes I get busy and can’t get free for a few days … social media is kind of overwhelming so, in order to get my work done, I only check into the louislamour.com discussion forum. Miscelaneous Questions on a wide range of topics . . .
Let’s start with "Last of the Breed" If you are a serious Louis L’Amour fan you probably realize that Louis often used to rush things when he got near the end of a story. Occasionally, he was so excited to start the next one that he sometimes gave short shrift to what he was finishing. Dad did not originally intend to write a sequel to "Last of the Breed." He considered the story to have come full circle … it starts with Colonel Zamatev receiving a particular package and it ends with him opening it and realizing what has happened. The warning implied by the package was enough for him – meaning Dad – to feel the story was over. It is clear that Louis intended for Zamatev to survive to the end of the story … the story is a flashback that starts with him. As fans clamored for more, Louis began to consider writing a sequel. No details ever solidified other than he imagined it would be fun to have Joe and Zamatev both appear at some sort of arms reduction conference in Europe. In my opinion even that would have been problematic. Zamatev’s fault is hubris … the story sets up other Soviets who want to see him brought down. He created an ambitious plan to capture Joe but Joe got away. I assume that Zamatev ended up in some radar station on the arctic circle with plenty of time to realize where he went wrong. That’s the perfect punishment because it’s the exact opposite of what he wanted in the beginning. Two sequels were “planned” for "The Walking Drum." I put planned in quotes because Dad’s plans were pretty minimal. I have a project in the works where, if it truly seems like there is enough when I go back and look at it again, I will make it available. Trust me, I’ll only withhold it if it says something cryptic like “Kerbouchard … India … Girl.” Sometimes Louis’s notes were like that! 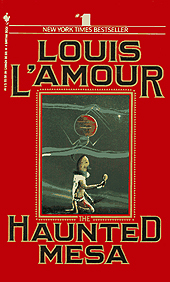 Over the years there have been rumors of L’Amour novels that are supposedly coming out, secret books by other publishers and other such mythic beasts. We do have some books headed your way in the future and the Louis L’Amour Facebook page or the louislamour.com website are good places to find out about them. Other publishers do occasionally release a few old L’Amour titles … but that same material is all available from Random House. If you buy the Random House/Bantam editions you will have them all. The only person who has ever gone inside an existing Louis story and significantly meddled with it is me. The first time I did this was with Dad’s permission. I did some work on " Haunted Mesa" … today, I wish I had done more. It could be a tighter book. Obviously, Dad thought so or he never would have let me touch it. Since his death I have done editing and bits of rewriting on many of the books that have come out. I created a very strict code where I would work to improve the stories by cutting first and then only rewriting if I had cut so much that the pieces didn’t match up. I got very good at channeling Dad … 99% of the time even I can no longer find the exact place where I inserted material. There is only one style of Dad’s I can not do well, the “flowery” sort of prose that he used for some of his later novels. These were mostly minor fixes but the sum total of the editing and rewriting added up to getting some of Louis’s very best work on the market … it was very often that I would do more work on a really good story, to make it live up to its potential, than to a lesser one. My favorites of that sort are "Cap-Rock Rancher" and "Elisha Comes to Red Horse" but there were plenty of others. There is one place where I took over a story and really did a lot of work to it. 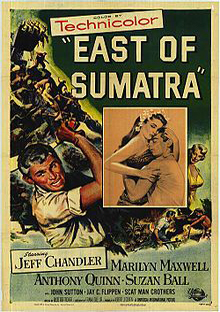 That was "The Diamond of Jeru," published in "Off the Mangrove Coast." That short story collection was looking like it was going to be way too short. And Louis’s original short story was so substandard in quality that I was considering not publishing it. The answer to both problems was to take all the things I liked about it and play them up, turning a 20 page short story into an 80 page novella. It was a lot of fun … but I also decided that if I ever did anything like that again I would “credit it” in the names of Louis and Beau L’Amour so that everyone would know what was going on. Whenever I went in and made changes in one of Louis’s manuscripts I would try to add details that came from Louis’s life. A good example is in "Fighters Should be Hungry." Louis lived in Portland, Oregon for awhile. He trained in the gym that was under Wiley Spivey’s Poolroom. Although Louis set the story in Portland and Astoria he did not mention Spivey’s. The mention and description of the place were details I added to the story from my knowledge of Louis’s life. If I’m writing as Louis L’Amour and if I take things out or change them I try to do it in a manner that is as much like Louis might have done as possible even to the point of using his own experiences. Louis left hundreds of unfinished stories. With a couple of exceptions, I am not going to finish them. Louis L'Amour's Lost Treasures is a publishing a project that includes many of these and in that I will try to put all the materials and as much as I know of what Louis had planned in context. As I mentioned above, I have already finished, fixed, edited, many of Dad’s stories. I only do this when the trajectory of the story is clear to me, to do anything else takes it away from being “his.” If I know I have a fighting chance of doing it like he would do it then I’ll give it a go. Louis at his desk surrounded by notes, rough drafts, magazines, etc. I think, however, that the really fun part of the unfinished stories is the mystery! I like thinking about what they might have been without having to know. One of a couple stories where dad's story arc was clear is his very first novel which he titled "NO TRAVELLER RETURNS". The first indication that Dad was working on this book is in a journal entry from June 9th 1938. He mentions that he intends to "finish 'No Traveller Returns' tomorrow." Almost certainly he was not talking about actually finishing the entire novel, more likely he meant he was wrapping up the first several chapters to submit to publishers in hopes of getting an advance. In the days before Xerox machines and in the career of a writer for whom return postage and carbon paper were a financial challenge, the only copy of a manuscript could go missing very easily. And this may have been the fate of many of his stories. 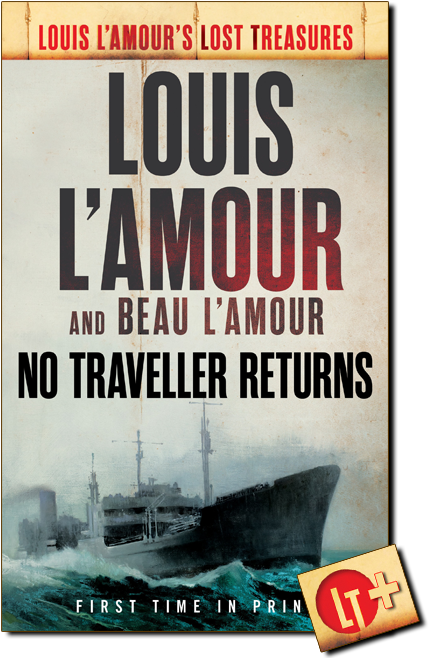 After discovering, assembling, and carefully examining the various different versions of "NO TRAVELLER RETURNS," I have tried to smooth over the rough spots and to create the connections that would give a reader an idea of the entirety of Louis’s vision for this work. With luck I have not compromised the essence of his concept or his style. As always, I have attempted to apply as light a hand as possible while still delivering a manuscript that is professionally polished and contains some of the important elements which were implied by, but not specifically contained in, the original text. Chances are, if the war hadn’t interrupted this book’s development and then dropped Louis back into even more extreme financial straits once it was over, he might have finished perfecting it and found a publisher. As I said, I may work on a few other titles but if I do I will share the billing as I have done with "No Traveller Returns" so there is no question as to what we are up to. Beyond that we have no plans to have any other writer work on any L’Amour material. That conviction may change given the right opportunity but, at this moment, I can not imagine what that would be. There are two kinds of Louis L’Amour Audio programs. first there are what we call single voice readings, one actor reading Louis’s book or an abridged version of it. We are adding to the list of these “Audio Books” at the rate of two or four new titles a year. There may be one or two we will not do but, for the most part, the current Random House plan is to just keep going until we’ve got all or most of them completed. to life Louis' unabridged audio books! The other programs we do are the Audio Dramas. 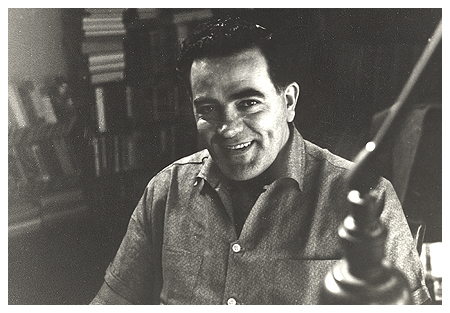 When Bantam Audio Publishing was started, Louis was instrumental in creating the concept of doing some of his short stories in the style of Classic Radio Dramas. The stories are adapted into scripts, a cast of actors is hired (I believe our smallest cast was 5 and our largest, so far, was 26) and the scenes are recorded and sound effects and music are added. They are a great deal of fun! 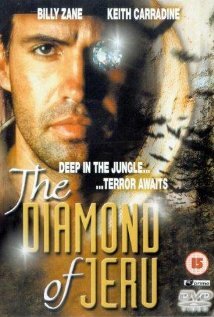 Our first show (Unguarded Moment) was done in 1986 and the most recent is The Diamond of Jeru) right now. The best sounding version of these programs is on CD but you can also buy downloads from audible.com or itunes. 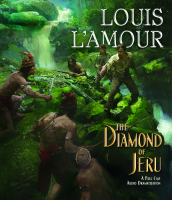 However, my recommendation would be to get your downloads from our louislamour.com website. Because we produce many of the L’Amour Audios “in house” we can offer a much higher resolution MP3 than any other service. For more on our MP3 process click HERE. I love working on the Audio Dramas. I got very frustrated working in the movie business and Audio has let me write and act and direct and all sorts of other stuff. 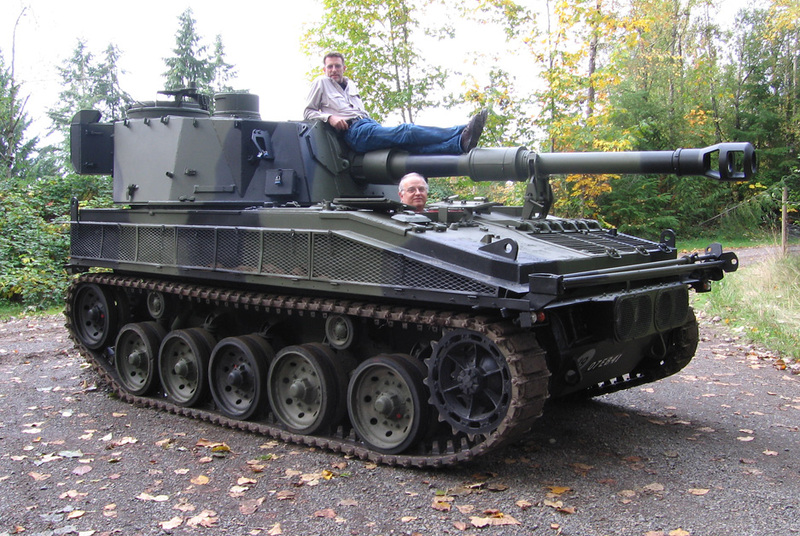 On top of that, it lets me and my good friend Paul O’Dell (who also is our webmaster and runs the Louis L’Amour Trading Post) get out of our offices and do all sorts of crazy things like drive tanks and stage coaches (okay, okay, ride around in tanks and stage coaches) and play with canoes and horses and stuff. We love working with actors and doing all the technical stuff like recording and mixing so it’s a welcome change for us. First off -- we, meaning the L’Amour family, do not “make” movies, we sell the rights to companies that are in the business of making movies and have the money to make movies and have the ability to distribute a movie once it’s made (that’s the hardest part). Sometimes I, as a separate entity, will work as a producer on a movie … if I get the chance. That has very little connection with what I do for the L’Amour Estate. It means I get hired and work for the movie company as their employee. There are many different types of producer, some are writers, some are accountants, some know every trick of the trade and have a phone book full of highly qualified personnel. I write and work with writers (if they will listen!) and know a few of those tricks … one thing for sure, I am not an accountant. Not all the films I have worked on had anything to do with my father and I've worked on quite a few really rotten films. The day to day experience of working on a rotten film is much like working on a decent one ... but in retrospect you often learn more. It is sort of a mistake, however, to think that a movie producer is “the boss” or the top dog on a production … although there are quite a few producers who keep spreading that particular myth! “The Boss” is usually the Creative Executive at the studio or network. They are the top of the food chain and the person responsible for nearly everything. Producers, Directors, Stars, all tremble when they mumble. Sometimes I think that the producers are only there so that studio executives can blame them when something goes wrong … a fuse in the responsibility circuit. So, the fact that I have occasionally worked as a producer does not mean that I can make a film happen if I want it too. That takes vast amounts of cash and access to distribution, neither of those things come easily or for free. It takes corporate relationships that I, for the most part, do not have. Certainly, if it was up to us we’d have made all your favorite films long ago and we’d be sitting in Tahiti counting the money … or wherever it is that you sit and count money when everything is really copacetic! Louis L’Amour books and short stories are always available to film makers. But I am very careful about who I spend my time dealing with. It is a very strange business and there are a lot of very strange people in it. 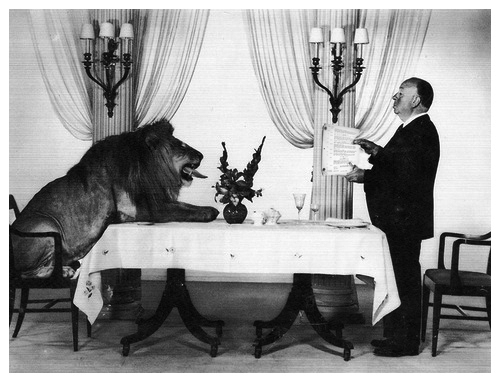 However odd you may think the film business is, trust me … it’s odder! There are a lot of people trying to make something happen in Hollywood. A very limited number of them can actually get a film made. Having worked in the motion picture business, I try to limit my dealings to people who have a reputation for promptly generating deals and getting productions started. I also try to only work with people who I respect and who I think will be good custodians of a particular story. My respect for a particular film maker or their being good custodians are not recipes for success whatsoever … it’s just a good jumping off point. For most of the last 25 years one L’Amour film or another has been in discussion. Only a couple of them have actually been made in that time. It is absolutely useless to talk about what title might be made … the chances are insignificant. Plans fall apart constantly. The only time you can actually know a film is being made is when it starts shooting. So basically, I don’t talk about what might happen until a project is in production. At any other point in the process it’s a complete waste of time. I never let potential film makers, without reputable backing, do a screenplay of any title, that just causes legal problems. Studios are very fussy about writers, they only want who they want, and who they want changes with the phases of the moon. If we can get a studio or network to pay for the rights and to have a script written, that’s different … it shows that the people who might make the movie truly mean business. Every film that is made is, for better or for worse, the sum of it’s component parts and all of those parts are moving at different speeds. If the right people, like actors, writers, directors, and editors, are available and are known to the producers and are affordable then you might get a good film … maybe. But if the mixture has one or two wrong elements (and you never know until too late) it’s a disaster and there is little you can do about it. Moreover, you can’t “wait” until the right time. Generally, you get one shot, take it or leave it … forever. So some films may end up blessed and some cursed from the outset. The top film makers are better at stacking the deck in their favor but it doesn’t always work out for them either. Louis spent a lot of time around Hollywood, occasionally working directly on movies. He was pretty familiar with the process and he didn’t expect any guarantees from it. He could be happy with a fluke success, like Hondo, or accepting of a Dead-at-Birth junker like Cancel My Reservation. Movies and books are very different mediums and Dad knew as well as anyone the limitations of each. Reading allows the audience’s imagination to create the perfect locations, costumes and cast for any story. Film is pretty damn literal. You hit some sort of happy medium where a wide variety of people like exactly what you’ve done or you fail. On top of that you can only do the things you can afford to do and, regardless of what you have heard of film budgets, everything besides the stars salary is highly regulated. All a novelist has to do is afford to live while he writes. Shooting a medium sized film costs $10,000 per hour, so everything moves as fast as it can. Film making is a world of compromise and making do and, as I noted above, the film makers are not as much in control of the process as we often think … fate is. Having worked on a number of movie projects, Louis realized that writers and directors must be allowed free reign to do what they needed to with his stories … not that he had a choice, when a writer sells the movie rights to a book he has no more control over it. In fact most of the time a novelist or even a screenwriter is not even welcome on the set. He also knew that an adaptation, good or bad, does not replace the original … it can not “harm” it. An adaptation is an alternative version, like a “cover” of a song, it should be enjoyable not for how similar it is (why would you need something that was the same if you already have the original?) but how good it is on its own. A good movie adaptation is far from a copy of the original and certainly not a word for word or idea by idea transcription. If good movies were that easy, they would all be good! 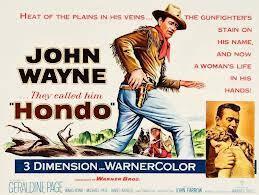 The movie Hondo was very much an elaboration and an evolution of Louis’s short story The Gift of Cochise and, although he needed the paycheck, Louis agreed to “novelize” James Grant’s screenplay. He respected it, and it’s differences, enough to put his name on it. There were plenty of times a film company asked him to do something he didn’t agree with and he just returned the money, whether we desperately needed it or not! A feature film, or even a TV series, can convey much less story information than a novel. To adapt a novel or short story, you have to pick and choose what you will center your movie around … and there are always painful choices to be made. Once you get the subject matter slimmed down, the screenwriter has to focus on making the material produce good performances for the actors … a skill utterly different from writing dialog in a novel. Novelists rarely bother to build the tension and characterization that a scene needs in order to work for an actor. And if a novelist wrote out every single line of dialog like a screenwriter, he would be considered a complete bore. Few readers would put up with all that talking... but in a movie the scene won’t work without it. 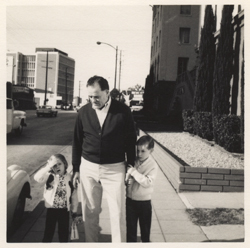 Dad was not much interested in being screenwriter … writing screenplays means taking a lot of soul killing abuse from producers and creative executives and Louis wasn’t the sort to put up with that. I’ve put up with it and I think my dad, peaceful as he was, might have punched someone. He was also nervous having his work picked apart because he didn’t really know how he did it, writing was instinctual with him and too much planning tended to ruin it. It is also very common for everyone on a film (everyone who carries enough weight) to start changing the script. Actors, the director (he has the right to do so, however), producers, and most often the creative executives at the studio or network. I have worked with star actors who would change the script every night, not only rewriting their lines (which is occasionally tolerable) but rewriting other actors lines (which, in my opinion, is disgusting, foolish and rude). I have received 20 emails a day from the studio creative executives changing words throughout the script, often citing dictionary definitions and diagramming sentences … as if characters spoke like English teachers. And I have sat in meetings where the best scenes in a film (the most visual scenes!) were torn out by a director trying to show that he was just as willing to make changes in a script as the network executives … all to prove that they could trust him. Dealing with the script on a film can be a nightmare whether you are the writer or a producer trying to protect the writing. In many cases changes are made by people who aren’t even familiar enough with the script to really understand what they are changing. It just makes you nuts to watch your carefully crafted screenplay turned to mush by all this meddling. It also makes you nuts to realize that your name is on it and people will think that is what you intended. In many cases if you see a film and it feels like the script is a patchwork, chances are that mess occurred after the writer left and other people decided to “fix” the script! Wisely, Dad stayed out of that environment. You can see why. His work in Hollywood was mostly laying out a story concept, quick and dirty, getting a paycheck and getting out. Two examples of this are Stranger on Horseback and East of Sumatra though there were dozens of others that did not go into production. The thing he never wanted was for a writer or director to feel any pressure from him to make a movie “just like his book.” It can’t be done and it’s a waste of time trying. Usually, if people like a movie, and they enjoyed the book, they will feel the film was “like the book” even if it wasn’t. I’m sure there will be more films in our future. They will be different, however, than films were in the past. Features are bigger than ever or they are small and sort of intimate. The Movie Of The Week is gone, except in places like Lifetime. Series rules the television landscape and Mini Series may or may not be back, at this moment, the jury is still out. The old stars are … old. And stars don’t guarantee success any longer, not the way they used to. Whatever comes in the future it will be different. I’m looking forward to it. Whether it is a L’Amour Movie or a L’Amour Audio or a Comic Book or a Play, there have been a lot of adaptations of Dad’s work. Heck even Dad adapted Dad’s work … he did it every time he turned a short story into a novel, sometimes with significant differences. Dad adapted other writer’s movie scripts into “novelizations” like How the West was Won. He adapted Hondo from James Grant’s screenplay that was based on his short story, The Gift of Cochise. 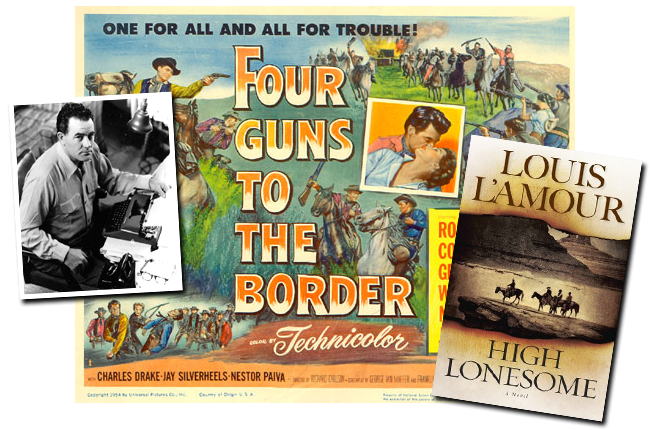 He adapted High Lonesome from his own treatment which had already been made into the movie Four Guns to the Border. He did the same thing with The Shadow Riders. Following the DNA of some of these stories can be dizzying! My experience doing adaptations started with the Dramatized Audios in the 1980s. It was an absolute requirement that our Audio Dramas be 60 minutes long … the publisher set that limit and there was no arguing with it. In Audio that is time for just about 17 to 22 scenes. Whether a Louis L’Amour short story was too short or too long we had to make it fill that time slot. A long story (or even a short one with a lot of plot) like, McQueen of the Tumbling K had to be condensed to fit and a really short short story, like The One for the Mojave Kid had to be lengthened, more plot added, scenes expanded. The other requirement, placed upon me by my father, was to “improve the performances.” The first Audio drama or two had been direct transcriptions of short stories that happened to be exactly the right length. But Louis was not happy with how the actors sounded … and Bantam knew that we would run out of those “right length” stories very quickly. So Dad grabbed me, the person in the household that supposedly knew about screenwriting, directing and the recording industry, to go figure it out. Well, you can’t have a good performance without a good script. Can not. And a good script is not a short story … without getting all technical, an actor can’t play a scene from a book as well as he or she can play one designed, first and foremost, to be preformed. You need a script, written by someone who knows drama, Eventually, I did a couple of scripts to figure it out and we hired some screenwriters and playwrites, one was even an old friend of Dad’s, and we finally got the program sorted out. There was a Facebook question about the traditional, even melodramatic, style of the Bowdrie Audios vs. the dry revisionist style of Merrano of the Dry Country. This illustrates the next point very well. We have always been trying to emphasize the differences within Dad’s work. Even Dad wanted people to see a difference between books like Kilkenny, which was a very old school shoot ‘em up Western and Conagher which was more realistic, personal and lyrical. Different stories appeal to different people and different styles appeal to different people. None of us want the books to “all be the same.” That’s boring for fans and creators alike. 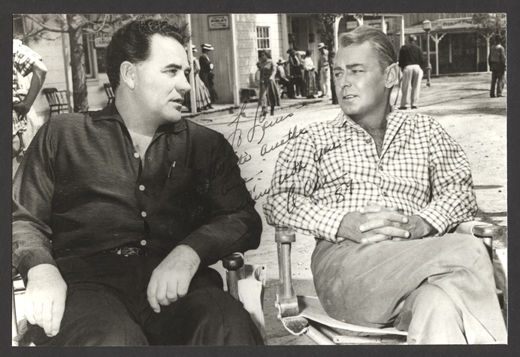 The Bowdrie Audios were intended to be classic old school Westerns by both Dad and our Audio production team. 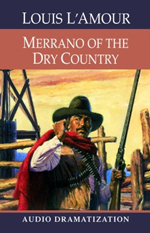 Merrano of the Dry Country was intended to be edgier, looking at racism and ecology, even when Louis wrote it in the 1940s. Back when I was doing a lot of Audio productions I fantasized about doing the Cactus Kid Audios as Musicals, with the Kid as a “singing cowboy.” Every time I tried to write one that way … well, let’s just put it this way, it was pretty bad! With fewer and fewer new L’Amour works coming into the marketplace, the future is in adaptations of one sort or another. Some fans of literature rebel against that, thinking it is an ‘offense to the masters’ … but Louis obviously didn’t mind. Visit the LawOfTheDesertBorn.com web site for more info! The style of our Graphic Novel of Law of the Desert Born is, in my opinion, just one of many styles we can do. Not just styles for the art but styles of the story telling. I would like to do something much more traditional and close to an original Louis story (in fact we almost did but it was too long), I would also like to do something really outlandish and different from Louis’s original work … like a newer, wilder, version Haunted Mesa. These different attempts don’t replace the originals, they don’t harm them. If a reader wants to just stick with the old material, they can … but, very soon, there’s not going to be any more of it. Life With Louis . . .
Louis was 53 when I was born. He'd had an adventurous life but during my childhood and young adulthood he came off mostly as a kind, quiet man who sat in a little room (and toward the end of his life a much bigger room) and typed. Dad was moderately well known but not easily recognized and Los Angeles was full celebrities who were vastly more interesting to the public. We lived in a funky, bohemian, neighborhood called West Hollywood. 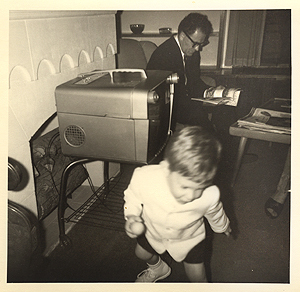 Dad was a guy who had been sort of a funky bohemian himself … long before that was cool, before Kerouac and Guthrie. 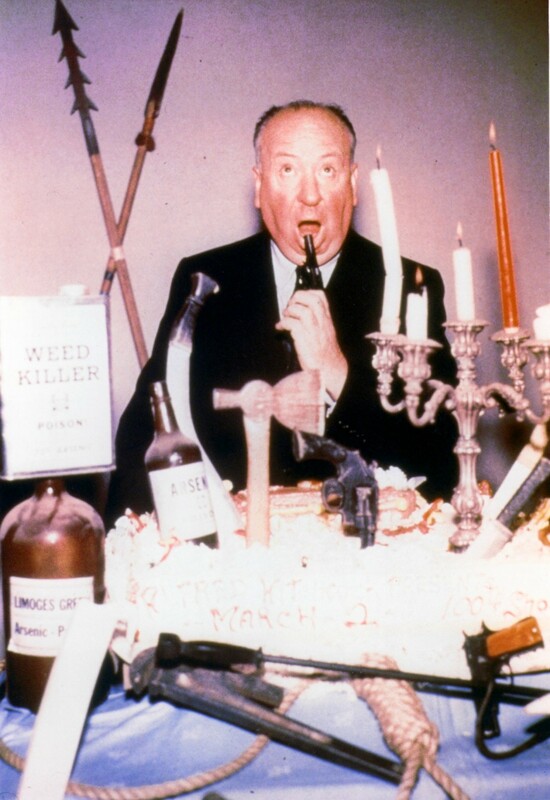 When the 1960s got to be a bit much even for him he started becoming slightly more conservative … but we lived at ground zero for 1960s counter culture in LA. It was a very creative time and place and he thrived on it. Dad was very open minded, he probably had the least prejudice of anyone I have ever met. He had seen all sorts of things in his life and been all sorts of places. He had worked and slept shoulder to shoulder with men of all races. He had shared humor and terror with them. He’d been at the bottom of the social ladder and at the top and knew there wasn’t as much difference as many would suspect. He was not arrogant about his beliefs or his culture or his country. 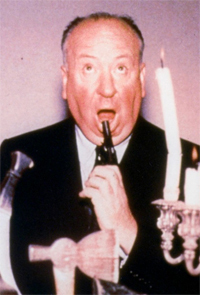 If he had a political or religious persuasion it was this … he was an optimist. He believed that, working together, people can make things better. He had lived through the bank failures of the teens and ‘20s, promoted Black boxers in towns dominated by the Klu Klux Klan during the Depression and fought in World War Two. He was an older guy with a beautiful young wife, two kids and a decent income. Yet he didn’t even have a 10th grade education. Generally, he thought life was pretty good. He also knew he’d been very, very, lucky. His career would have been impossible for him to replicate had he started just 20 years later. It is important for a modern audience to remember that the authors of “paperback originals” were not paid very well. And when Louis was writing short stories the wages were pitiful! We lived a comfortable middle class existence if Louis wrote two to three books a year. We were a one car, one phone, one TV household. If Dad sold a movie, we might have just enough to get a new car. Constant writing kept the money coming in. Louis worked seven days a week and a minimum of eight hours a day. Vacations were always work oriented. At a certain point, around the mid 1970s, Louis’s fortunes started to change. Each book that came out reinforced the sales of the previous ones. His work changed from being a bunch of discrete titles into being something like an investment. Louis only “made it” about ten years before he died. 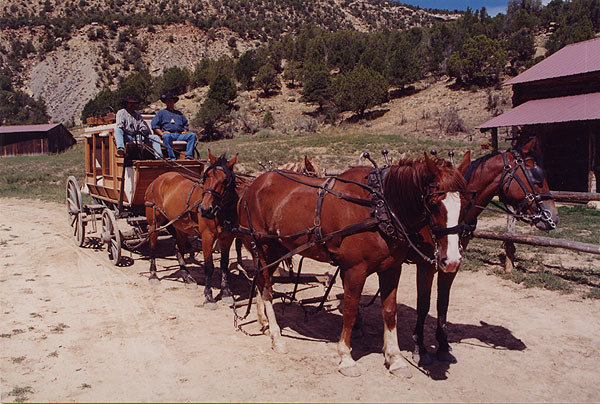 In that last decade of his life Dad bought a ranch in Colorado but we did not have a “ranchy/horsey/cowboy-like” lifestyle at any time. For the most part Dad was too busy for that sort of stuff and we didn’t have the money. Even in his early life Dad did not have that sort of lifestyle. 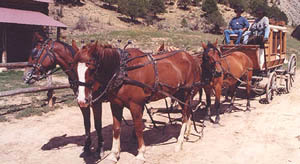 He lived and worked in the American West but it was a west of miners and loggers and fruit pickers. His was more the West of John Steinbeck than Zane Grey, more the West of a shovel than a lariat. Many times he may have wished he was a cowboy, he certainly knew a few, but that wasn’t him, personally. Louis was one of the least materialistic people I have ever known. He liked good clothes but didn’t wear western styles until later in life and then mostly when he was doing personal appearances. He didn’t have western antiques or a gun collection or anything like that. He had books. That was just about the only material thing he cared about and even then he just wanted the information within them, they weren’t first editions or anything. He loved prowling used book stores and libraries. Only some of his personal books were about the American West … about one quarter of them, I’d say. He was not a “man’s man,” he didn’t drink more than a glass of wine or half a beer a couple of times a year. He didn’t use swear words unless it was to be funny. He didn’t like hanging out with guys or going to sporting events … his vision of what men did was work. He worked a lot. He came from an era when it was hard to find a job, when the economy was defined, especially if you didn’t have an education, by what the captains of industry would let you do. Once he became a writer he could work when he wanted, be his own boss, succeed as much as his imagination would allow. To him work was freedom … it was even rebellion. Dad had a great deal of physical presence, think Sean Connery. He was pretty quiet until you asked him a question … then he could talk ‘til dawn. He would exercise every day, he liked to walk and, like a lot of writers, he drank a lot of coffee. He loved Los Angeles, smog, riots, traffic and all. LA was where it was happening after WWII. Not just movies but aircraft, computers, the space program, chemistry and physics. He hung out with Aldous Huxley, Ray Bradbury and Chuck Yeager. For awhile he had a number of friends and acquaintances in the film business, Alan Ladd, Marlon Brando, Katherine Hepburn, Rock Hudson and Steve McQueen. Some of them died, some got very weird, eventually we discovered that life was calmer without the weird ones around. The publishing business is centered in New York. That was a favorite city of Louis’s. 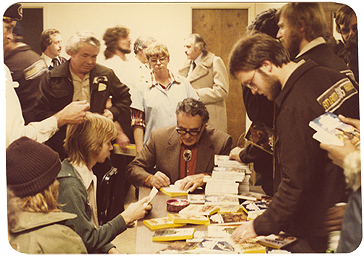 He loved the theater … he would have spent his life writing for the theater if he had known how. My childhood memories of NYC look very much like the sets of Mad Men but publishing offices were more crowded and not as clean. We did a fair amount of traveling around the west in our car. Dad didn’t drive, so Mom was the hero of those trips. We traveled all around the country. My sister and I amused ourselves by provoking our beagle who, when she wasn’t barking at everything that passed the car she was scrambling over all of us so she could bark at everything that passed the car. If one of us said the word, “cattle” she would go insane. “Cattle” and “cookies” were the only two words she would reliably recognize. When everything calmed down Dad would read to us as we drove. He read to us at the breakfast table too. Every morning. All sorts of stuff, a lot of it was his research materials. We didn’t care, it was usually entertaining. Of all the things Dad had done in his life I think he remembered going to sea the most fondly. I don’t know if those had really been good times for him but it was an experience he couldn’t go revisit later in life, like he could travel to Kingman where he had worked in the mines or Portland where he’d worked in lumber mills. Louis was a poet and a sports writer, he started writing for TV almost as soon as shows were on the air, he invested in Broadway shows, kept trying to create an opera about Cortez and sold stories to comic books in the 1950s. Dad pressed Bantam Audio to do books on tape in the style of Radio Drama and wanted to write Science Fiction and Horror. He did a lot of one thing, writing westerns, but that doesn’t mean that was all he ever wanted to do! Louis loved reading history, especially original documents and the odd sort of bits you would find only in book stores and libraries close to his area of interest. Sometimes I suspect he took on the life of a writer just to justify his interest in reading and history. Louis also used the landscape to ground his stories, to make them tangible to him in some way that allowed him to feel comfortable writing them. He often wrote about places he had lived or visited and, if not, he was very good at studying maps and travel journals to get a feel for landscapes he had never visited. Another element that makes his work so convincing is that he was absolutely amazing at hinting to the reader what he wanted them to imagine, helping them create pictures in their minds that actually did not exist on the page. This cooperation with the audience is an aspect of great writing unappreciated by many of the English professors of the world. Writers of Louis’s era were usually quite good at it. It is a talent that requires doing less, not more! 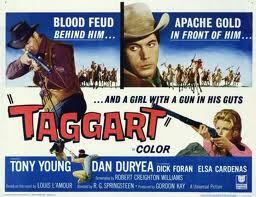 All that said, far too much has been made out of Louis L’Amour’s supposed historical accuracy. It has been blown completely out of proportion and one of the guilty parties was Louis himself. It all started with Louis liking to get the landscape right. He did this more as a tool to help him visualize the story rather than being accurate to satisfy a reader. 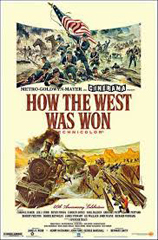 At the time he started doing it, few western writers really cared about history and the fans were similarly disinterested … you can tell by looking at many old western movies, the costumes are mostly “western wear” from the time when the films were made! for the novel "The Lonesome Gods "
After specifically writing about places he knew for a few years, Louis started getting fan mail commending him for that element. This made him try harder. Soon he was telling reporters and publicists that he made it a point to get the terrain right … and he did. Unfortunately, this claim slowly morphed into another claim, at first made by others (like his publisher) of some sort of complete historical authenticity. Soon Louis was occasionally going along with his own press releases. Now, he did do a lot of research. He did care about getting details right … but he didn’t attack it like scientist or a lawyer. He didn’t let research and accuracy get in the way of telling a good story. And, most important to the point I am making, he didn’t slow the writing process down by checking his facts religiously. If he remembered something accurately, and he had a fabulous memory, he would put it in … but he rarely checked it. He didn’t get too much wrong … and he was good at avoiding getting pinned down. Basically, when he started writing a story he didn’t let anything stop him. He made a few glaring errors in his career (I’m not going to tell you what they were!) but he was an entertainer, not a historian. The claim of absolute academic level accuracy is a case of cut and paste journalism and public relations run amuck. To let this myth go on and on is just to give his detractors more and more ammunition. Authenticity was just something that he was reasonably good at … but the claims got out of control. What he did have, a fundamental no one could make a claim against, was first hand knowledge of the people. He had met a good many old west characters as a young man. He captured a tone that, if a detail slipped here or there, was based in personal experience. and swings open from the center to reveal a second set of shelves in back. The wall behind Louis has two similar sets of double layered bookshelves. Dad did have an extensive library but it wasn’t all about the west by any means. He just liked learning. He had everything from “name your baby” books to technical journals from NASA. He had a huge collection of topographic maps. Many of them from the earliest days that they were published. Besides actually going to the location where he would want to set a story, these were his secret sauce. 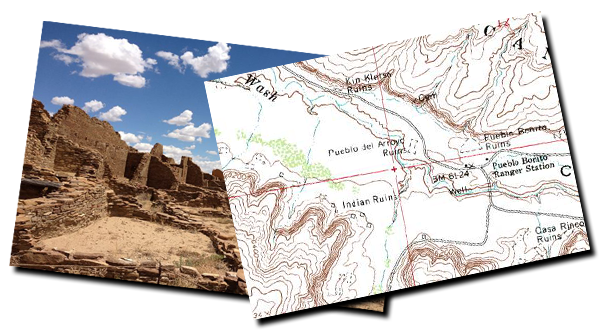 Old topos have a good deal of information on them that is left out of the modern ones, Indian ruins, old roads, countryside now covered by cities. 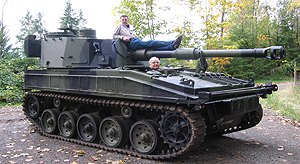 Dad had a bit of artillery training in the Army, he had originally been attached to a Tank Destroyer unit, and he was good at reading a map. He had also, and this should not be underappreciated, spent a lot of his life comparing maps to the actual landscape in them. He knew how to translate a map into a visual description of the countryside. Dad would often tell reporters that he had the biographies of a large number of gunfighters in his personal library … it’s a quote that many have remembered down the years. This is one of those things that tended to get exaggerated by fans. Many imagined thousands of file or pamphlets or research papers in neat little rows. What Dad meant was that he had a lot of books on the West and in them were the details of a lot of these guys' lives. Any major library probably has a similar amount of information. always on the horizon . . .
Louis was famous for writing westerns but just as popular were novels like The Walking Drum, a epic set just after the crusades and the Cold War thriller, Last of the Breed. As most of you know, Louis did not start out writing westerns. In the beginning of his career he wrote very personal stories about his times and adventures, then he wrote pulp adventures set in exotic locations and he wrote crime stories, many set in the world of professional boxing. One of the more interesting projects Paul O’Dell and I have done was to create a website that is the companion piece to The Collected Short Stories Volume Four – The Adventure Stories. louislamourgreatadventure.com is like a guided tour through these stories. For the “Around the World With Louis L’Amour” section we take a look at Louis’s life and the stories that were most closely related to it. There are pictures of Louis from those times, maps and photos of the places he visited, ships he served on, and people he knew. There is all kinds of stuff, from his draft registration card to maps he used in WWII and business cards he picked up in Shanghai in the 1920s. These are used to illustrate stories that may have come directly form Louis’s life. 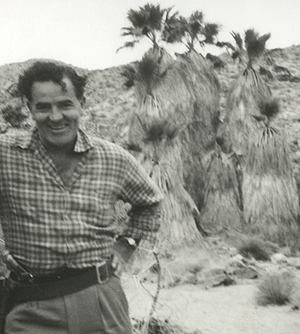 The “Literary Adventure” section explores some of Louis’s later adventure writings, material that was lost for many years when all Louis could sell were Westerns. Again we tried to provide maps and photos from the exotic locations he wrote about. But the most fun for me was creating the “Classic Adventures” section. This recreates the world of the pulp heroes that were Louis’s earliest successes. It was a blast trying to capture the tone of 1930s and ’40 news casts, looking closely at the times that Louis was writing about, a world that had no idea what was about to happen. These stories of Dad’s were all contemporary adventure stories written about events as they were happening … you really get a different perspective on World War II when you realize that no one knew what was going to occur. Using newsreels, political cartoons, animation and some fictional exhibits intended to bridge some of the gaps between the stories, we try to build an entire reality around this book. 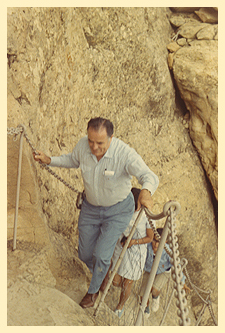 The great challenge following my Dad’s death was reorganizing how we did business. For a long time he had been creating several new works a year and he was actively promoting them. That created a great deal of energy going forward and it provided a great deal of momentum for his business. That effort was backed by an organization at Bantam that was relatively unchanged since the early 1960s … people came and went but the transitions were smooth and the “institutional memory” uninterrupted. My job, as I saw it, was to keep the production of new titles (without which you are dead in the book business) going as long as possible and to organize our “back list.” The back list is a book business term for your catalog or library of previously published books. Although many writers have written more titles, Louis is remarkable in that all of his are still in print … that means more active titles than nearly any other author. Basically, I needed to find a way to “go long” … creating new books into the future, and I needed to “go wide” … getting all the books in our back list to support each other better. Bantam was useful in this but their abilities are limited. Any editor (editors do not just edit books, they act as the writer’s representative at the publishing house) could hardly become familiar with all of Louis’s work. Few remained in their jobs long enough to even read them all, let alone to learn all the deals and the details of what we had done businesswise. On top of that, personnel turnover increased in the 1990s making the situation more chaotic. I had been educated as a film maker but had gone to art school, so I was well versed in the language of painters and writers. I’d been adapting our Audio Dramas and working on research and editing for a few years before dad passed away and both working with the writers and writing some of those myself made me very aware of how to work with Dad’s material both as an editor and in how to present it to the world. Without Louis himself to promote the work (important not only to fans but to book stores and wholesalers) we needed to stay very active. We needed new titles, projects like the Graphic Novel (an idea I pushed for 10 years before it happened), and the Audios. The book covers needed to be redesigned to be new and fresh for bookstores but also be identifiable so that long time readers would have a chance of recognizing which stories they had already read and which they hadn’t, same with the copy on the back. Both art and copy also needed be changed to attract new readers. 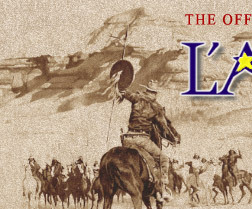 To discover a newer, younger, audience, I built a program that gave nearly a million Louis L’Amour books to the US Armed Forces and reformatted our Audio Dramas for radio, creating a syndicate of over 200 stations in the mid 1990s. We also built the Louis L’Amour Western Magazine. It was a wonderful opportunity for new writers but then we closed it down when the division was sold off because it looked like we wouldn’t have as much control with a new owner. All in all we had to work twice as hard and we still couldn't replace my Dad! Just when we thought we were getting a handle on everything the recession hit and there was a huge reorganization at Bantam/Random House. Suddenly, nearly every relationship we had was gone. The new situation has it’s upside, in that the new people are willing to try things the old guard weren’t, but most of our friends from over 30 years have left. I’m always nervous to talk too much about future plans because then people are asking about the stuff constantly; by the time I have it ready they are burned out because they have been keyed up from expecting it for so long. I have stopped commenting on the biography (yet here I am talking about it again!) because I decided Louis’s popularity was strong enough to try some other projects first, things that made it feel like Dad was still alive rather than the “wrapped up” tone a biography will bring to his career. The project is progressing well in the research and archiving phase. Some of the material is already leaking out … like the pictures that have been appearing on Facebook and Louis L'Amour's Lost Treasures which is what I like to call a “Professional” biography. 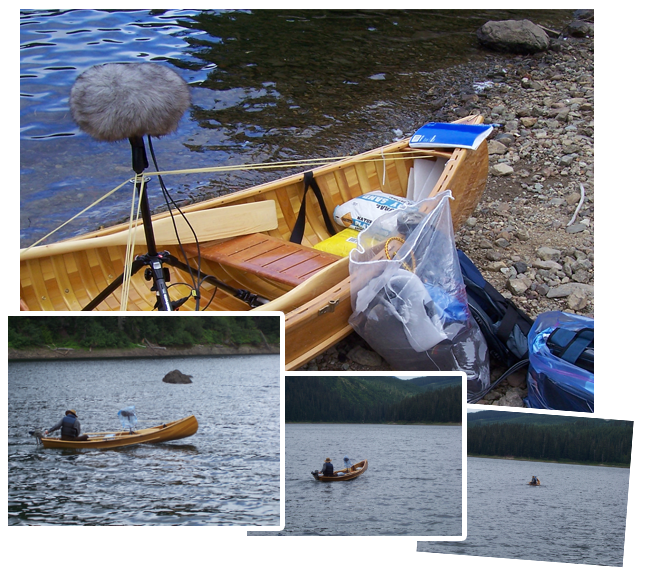 We also continue to produce two to four Audio Books a year as Single Voice Readings. We only work out the schedule a few titles at a time so there is no way for me to tell individuals when their favorites are coming out. Our most recent audio drama is The Diamond of Jeru which was completed in 2015. Our new project is Louis L'Amour's Lost Treasures which has been created to release some of Dad's more unconventional manuscripts from the family archive. It will include the story behind the story of many unfinished works as well as novels that traditional fans will know and love. What is Beau’s favorite LL story? I have always had a soft spot for Fallon and Reilly’s Luck. It’s tough to say, however, because I work with them so closely … it’s sad to say I really can’t read dad's work for fun any more. It’s always business, business, business. What is Beau’s Favorite LL Movie? That’s really hard because I’m super critical. Certainly not any of the L’Amour films I’ve worked on! That was always a mixture of pain and pleasure too difficult to figure out. The pain was that no matter what I did I couldn’t make them better, the pleasure was that the work was sometimes pretty fun. Given the eras when they were made there are things I really liked about Catlow and Hondo … shooting 3D on film, that takes big brass ‘you-know-whats’! (It’s vastly easier these days on digital video) The Director of Hondo was John Farrow, an Australian, a novelist, biographer and poet and the father of Mia Farrow. Will there be a movie made from Last of the Breed? I seriously doubt it. It was purchased outright back in the 1980s by TriStar. Miramax bought the rights from them around 2000. Now, with Miramax pretty much defunct it seems to have fallen between the cracks … what that means is that I have had executives from both Miramax and The Weinstein Company (the brothers who used to own Miramax) call and ask me if I knew what had happened to it! It’s lost, dead and buried, I fear. What happened to the town of Shalako? 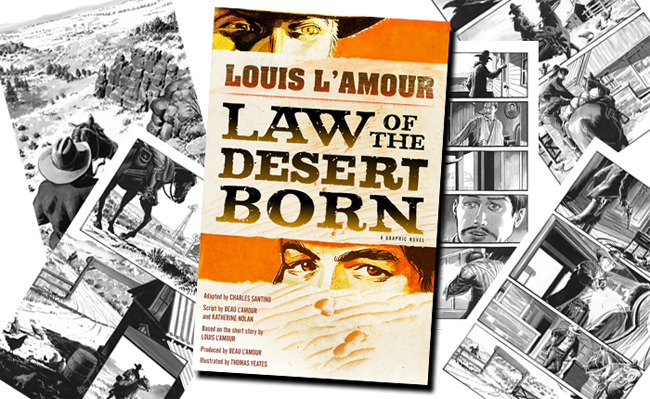 Take a look at the Frequently Asked Questions section of louislamour.com. Basically, LL was not involved financially, thank god … and they could never raise the money. Do I have all the LL publications? 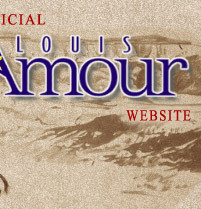 There are check lists on the louislamour.com website. Everything we can get is for sale there … if it isn’t there, we don’t know how to get it for you. 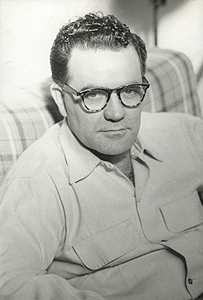 What were Louis L’Amour’s pen names? Louis wrote mostly under his own name. But there was a time when “Louis L’Amour” was considered too fruity and French to sell westerns. When forced to, Dad would use the name Jim Mayo but occasionally he was required to write under various “house” names. House names were used by the publishers to try to convince the public that there was more consistency in their writing pool than it seemed, or to make it appear that an entire series was written by a single person when actually it was several. A complete list of these would be difficult to create mostly because we now have all of Louis’s stories published under his name. If you are concerned with finding all the L’Amour stories, buy the Random House/Bantam editions … all the stories are there. Can there be multiple titles for the same short story? In the Collected Short Stories of Louis L’Amour series I have tried to sort out all the multiple title issues, choosing just one title for each story and publishing each story just once. When pulp magazines republished short stories that had already been in other magazines, they often changed the title. I’m sure they were trying to fool the public into thinking the story had never been published before … and most of the time the readers of that particular magazine had not seen it anyway, not unless someone was buying every magazine in the country. Just to confuse things, sometimes the second publication actually had Louis’s original title … magazines changed titles all the time and sometimes the first company made a change and the second did not. It’s a bit bewildering. Anyway, I’ve done my best to make this mess consistent, if not totally original, in the Collected Short Stories series. Can I use LL’s Library? No. It is in a private residence. It is not available for use nor is it as good as a halfway decent college library. 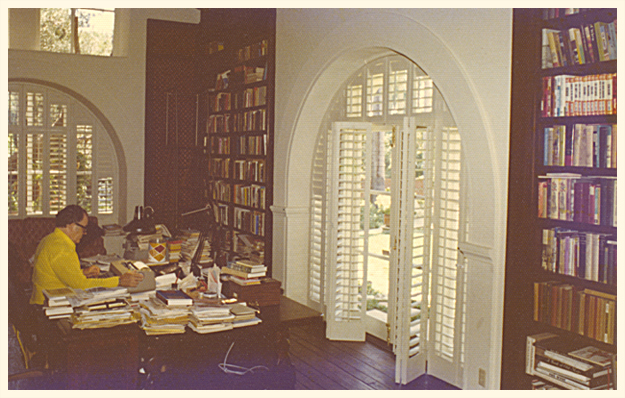 It was wonderful for Dad because it was all close at hand and he LOVED to read but while it is a massive personal library it is not exceptional in today’s world … nor is it cataloged. Where did LL get the name Sackett? He took the name from Sackett’s Well in the southern Mojave desert. At the time he knew nothing of the real Sackett family or families. He based the characters of the Sackett brothers on a pair of cowboys he met in Puerto de Luna, NM in the 1920s. How did LL pick the locations of his stories? 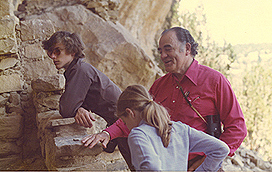 LL based the locations of many of his stories around places where he had worked as a young man. 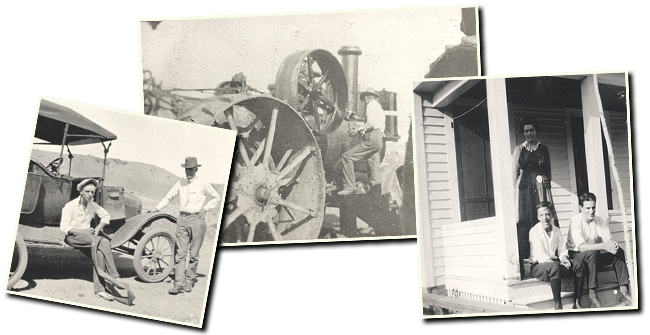 Often that was grazing land or areas of mining claims. Then, as now, that was often government land. What were LL’s favorites of his own stories? He always claimed it was the one he was working on at the moment … and I think he sort of forgot them after they were published. He was always looking to the future. In truth, I’d say his favorite was actually the next one! Are there LL travel guides or vacations? No but there are maps to many story locations on the website. Mr. Passin’ was his own independent character, exclusive to that one story. However, fans are intelligent to ask, their instincts are surely working. The first several pages of Passin’ Through, when they were first created, years before the novel was finished, were written as a Tell Sackett novel. Then LL decided against using it in the Sackett series and just wrote it as a one-off. How long until you, Beau, write your own material? Soon. I still have some other work to clear up. Uhh, “soon” means years … but foreseeable years … in the future. Who was The Fastest Gun in Hollywood? I always heard it was Dean Martin … for a movie star. However, we had a family friend, Rodd Redwing, who was a Chickasaw Indian. He could draw from the blink of a light to firing the gun in 2/10s of a second. He would tell you to clap your hands the second you saw him move and would often have two or three shots off before you got your hands together. More important, he could actually hit what he was shooting at. At the range of 50 feet or so he’d shoot a .22 rifle with the sights filed off, putting a bullet through a quarter sized hole in a swinging piece of glass and then through the hole of a lifesaver! 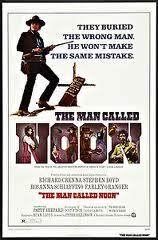 From the 1930s to the 1970s he was an actor and stunt man and taught his various skills to most of the actors that have appeared in movie Westerns. 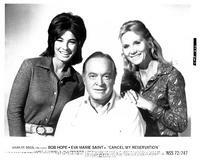 Where do I find the Louis L’Amour Theater Radio Dramas? All are available on our website. They are the Louis L’Amour Audio Dramas. You can buy CD’s or our very special high resolution audio downloads. 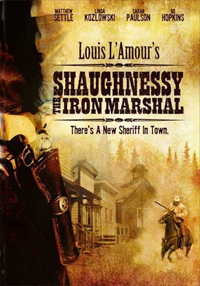 What were the titles of the Louis L’Amour movies? Will there ever be a Chick Bowdrie or Kilkenny movie? Kilkenny was made in 1956 as Blackjack Ketchum, Desperado. 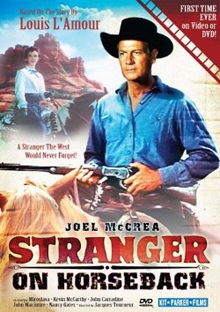 McNelly Knows a Ranger was made as an episode of Desilu TV Series The Texan in ‘59 and was intended to be a spin off series about Chick Bowdrie. The spin never spun. That means that both of those characters have been sold. They are no longer ours. How did your Dad teach you how to swim? He didn’t. Dad couldn’t swim and was sort of nervous around water. 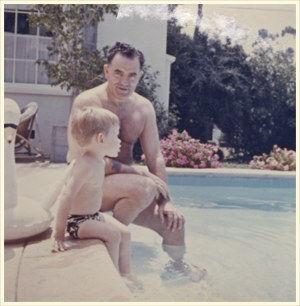 Later in his life we had a bigger house that had a pool … I remember him sort of glaring at it as he would walk by, silently telling it to stay put and leave him alone. My mother was a competitive diver, however and she insisted we kids learn well! What would it take to get Louis L’Amour books into schools? Parents asking for them! We try to promote them all we can but that is only so effective. Schools are very responsive to their constituents! Was Louis’s memoir his only non-fiction? What sort of beer did LL drink? He didn’t have a favorite beer because he rarely drank. Booze and writing do not get along, on top of that Dad had lived in many dangerous places over the years, he never felt comfortable without 100% of his faculties. Do you, Beau, do writing, editing and consulting for people other than your family? I used to but not anymore. I’m trying to wrap up all the Louis L’Amour work I can so I can do some different things. Where can I find inexpensive Books and E-books? E-books are a pretty good deal if you can afford a reader, occasionally the different e-sellers (Amazon, Barnes and Noble and iTunes) offer good prices and groups like Book Bub specialize in free or very cheap e-books. E-book prices are set by the companies mentioned above. 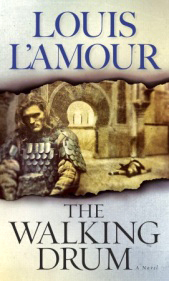 For actual books, not e-books, louislamour.com offers every L’Amour title for $499.00, this deal is a great value. Paul is very good at working out how to get customers books on a schedule that allows the customer to afford the books they want. Who works at Louis L’Amour Enterprises? I handle all the artsy stuff and my mother manages the money. Paul runs louislamour.com and does the technical side of some of our audio production and digital art production. I have an archivist who keeps me from losing stories and files and such. My sister occasionally helps with stuff. That’s it. No call center in India, no buzzing automated warehouse. If you call louislamour.com and Paul is recording sound effects with me he’ll take the call on his cell phone from the wilds of Colorado or Washington. What’s up with the Leatherette Collection, I want to get back in the loop? The Leatherette Collection of all Louis’s books has been in existence for over 30 years. It was never intended to last that long. The original intent was to create a robust book that could be had for a reasonable price. A book that would last for many years and through many readings. After nearly fourty years of bringing you the Louis L'Amour Collection we are about to begin a long-range plan to conclude the Louis L'Amour Collection Series. In January 2022, a little less than five years from now, we will discontinue the manufacturing and reprinting of the titles in this series, and at that point the club that many of you have been members in for years and in some cases decades, will close. We want to take this opportunity to reassure you that throughout this period, we will continue to reprint the titles in the series that you need to complete your collection. That will include all the Bantam Louis L'Amour titles published through the 2009 hardcover publication of The Collectd Short Stories of Louis L'Amour, Volume 7: Frontier Stories. Years ago when we set out to offer our members this collection, we couldn't have imagined the amazing response from you, his readers. We are proud of the books we created and we are also grateful to the community of readers that made it grow. Naturally we want to make this transition as smooth as possible for everyone and give each of our members the opportunity to complete their collections. between the hours of 9am to 7pm Monday through Friday, Eastern Time. All the best from everyone at The Louis L'Amour Collection. Legal Notices © 2017, The Internet Trading Post LLC.